Yesterday I went to an art workshop at St. Paul’s in Princeton, NJ. 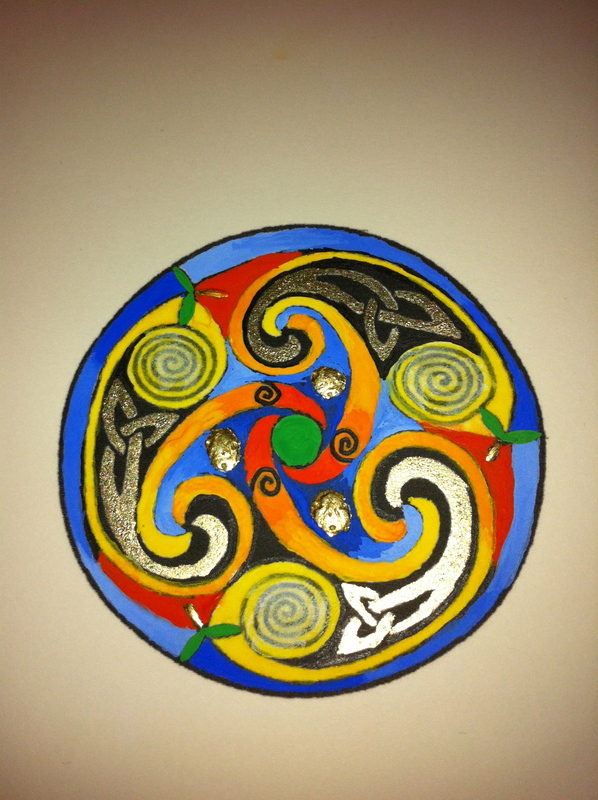 We learned all about celtic spirals and how it symbolizes the ebb and flow of life. How everything eventually comes full circle. From life on earth, to death, to new life after death. Even if you do not share the same religious beliefs I do, you can still find beauty in the underlying spirituality of a celtic circle. As we gilded the gold leaf onto our piece, you had to breathe deeply onto the piece to warm up the medium that the gold leaf adheres to. As you take in breath you receive and as you release your breath you give back. There was something comforting and meditative about the tedious work involved in creating this piece. It allowed me to reflect on life and how I affect people and how I am affected by them. Take time to reflect on your own life and find out what you can do to make yourself the greatest version of you. How inspiring!! I believe what you give good or bad it will return to you! It will make full circle. Thanks for sharing your experience!! !